The high risk clinic also provides a screening program for those women who at high risk of developing breast cancer because of factors not associated with their family history. Such women include those treated at a young age with chest radiation for other cancers, for example women who have a history of lymphoma (cancer of the lymph nodes) in their teenage years or in their 20s and had chest radiation as part of their treatment. One of the late side effects of such treatment is that breast cancer risk dramatically increases 10 years after their radiation treatment. This risk is particularly high in those women who received Mantle radiation (also known as mantle field radiotherapy). This is a radiation technique that involves radiation to the neck, chest and armpit area (also known as the ‘mantle’ area). Mantle radiation was primarily used as a treatment technique for Hodgkin lymphoma from the 1970s until the late 1990s, when it was replaced by newer treatments, although it is still used today in rare situations. Women treated with mantle field radiation experience up to 30-fold increased risks for breast cancer, compared with their peers in the general population These women often need monitoring similar to those that carrier the breast cancer associated gene (BRCA gene) with 6 monthly breast exam yearly mammogram and breast MRI. The risk is proportionate to the radiation dose received. 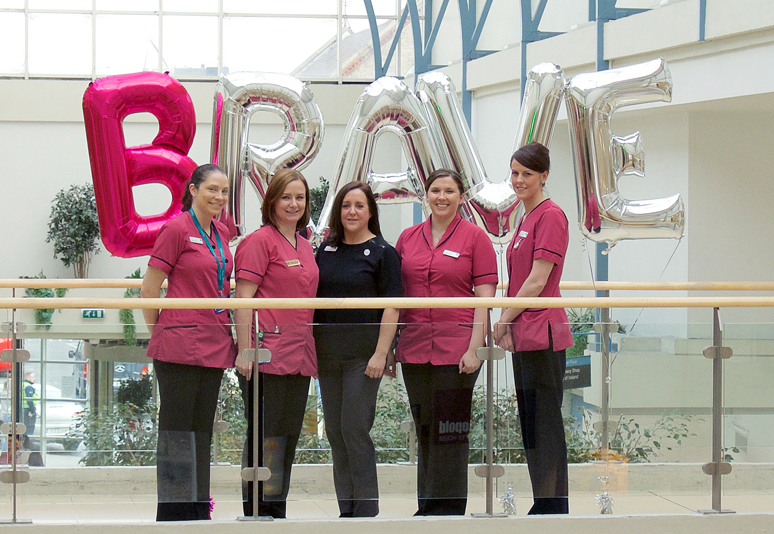 Another group who are at higher than population risk for breast cancer include women who have had bone marrow or stem cell transplant at a young age for treatment of leukaemia and had total body radiation prior to transplantation these women require breast screening to commence 10 years after their treatment. The clinic also screens women who are at an increased risk of breast cancer due to other breast diseases such as papillomatosis (multiple wart like lesions in the milk ducts), lobular neoplasia and atypical ductal hyperplasia which are usually diagnosed on a breast biopsy.